Life is a wonderful adventure and I think we tend to forget that with the monotony of everyday. Today I want to take some time to share some tips on how to have a healthy and happy life. And no my life is NOT perfect, it's FAR FROM it. But I do the best I can with what we have, and I always look at the silver lining. For me, it's about giving my little girl, and my grandbabies, happy, wonderful moments. So without further ado here are some tips to help you live happy and healthy! 1: Enjoy the little things: This is a BIG ONE for me, because my life is not filled with amazing things happening on the daily. I'm super busy with work and kids, sometimes I hit that pillow and just pass out. So I take time to enjoy all those little things most people don't even notice. 2: Enjoy your partner and/or friends: I don't have a lot of friends, but I do have a great partner. Sometimes I get so busy with the family that he gets overlooked and then when I am about to go mad because I don't get to talk to a grown up, I remember that I have him. Our kids are numero uno siempre, but this guy is the one I am going to be with when I am an old lady so I better start watering that relationship and keeping it strong. Being happy in your relationship makes for being happier and more relaxed, so give your guy and big hug and stop ignoring him! 3: Take a vacation: I know this is not always feasible on a budget, but I preach it all the time because it's true. You need to take some time away from everything, grab your bags, or just your toothbrush and hit the road. Work will be there when you get back, so will the bills, but you will come back so refreshed and ready to deal with it all. 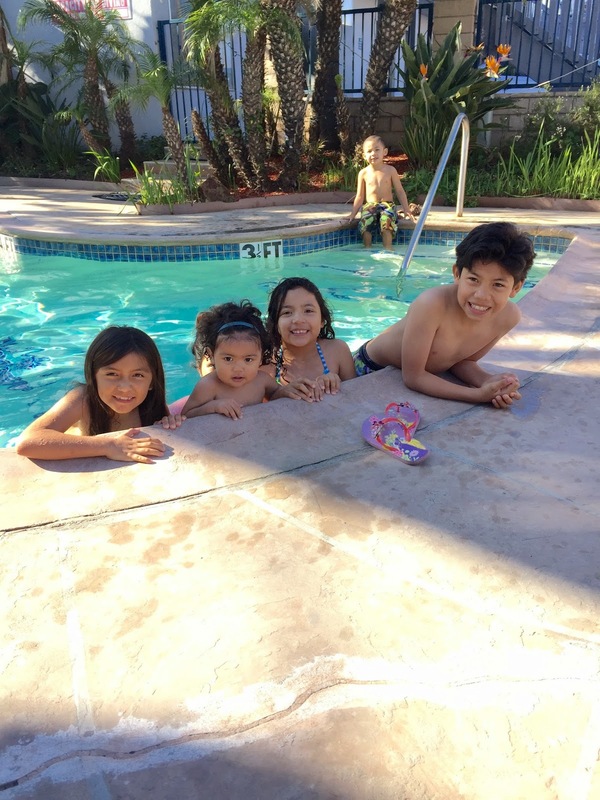 I am always on a budget, and I have like a zillion kids, and even like that, we manage to take a vacation at least once a year. Put your pennies together and do it! 4: Get active: Our health is of upmost importance and yet it's so hard to stick to a real exercise regimen. I suggest just starting slowly and moving around as much as possible. I spend a lot of time in the car deriving everyone around or at my desk working, neither being good for my heart and health. So I've been trying to get everyone out a lot more for walks, to run at the park or even just to walk at the mall. The point is to get active. Life is short, let's enjoy it and let's make it one to remember. Have you watched Big Hero 6? We watched this movie as soon as it came out and the entire familia just loved it. I love peliculas that have such a great message of amistad (friendship) in the face of adversity. If you loved the movie in theaters, you will be thrilled to know that it will be available for purchase this week! 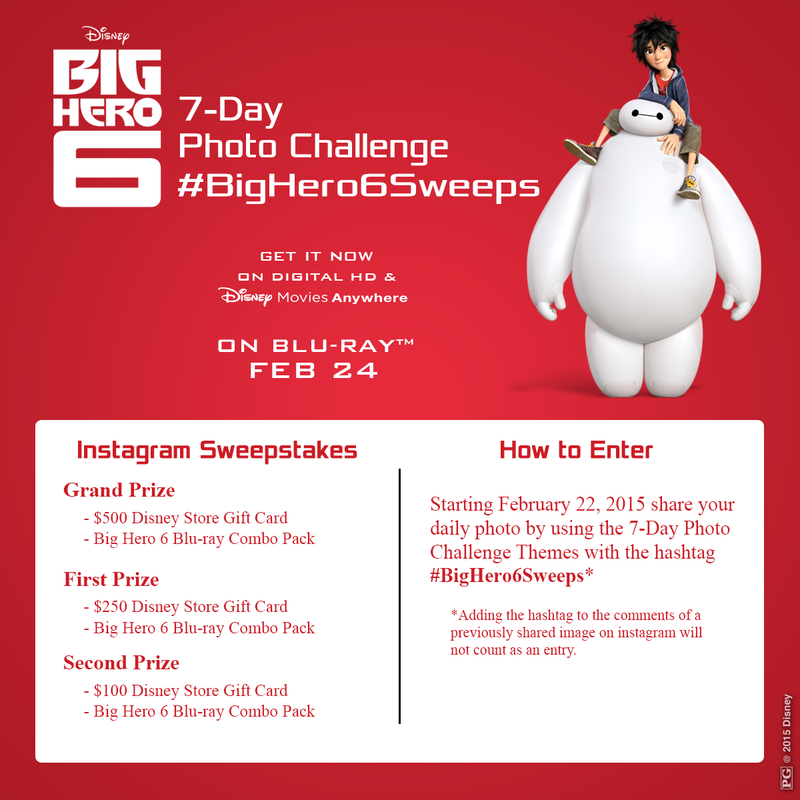 Join in the fun and participate in the #BigHero6Sweeps 7-day Photo Challenge that invites anyone to share their photos following the campaign theme ‘Happiness & Health to Live a Better Life Every Day’’ between February 22 – 28th. In addition please join us on February 24th from 9-10 PM EST for the #BigHero6Sweeps ‘Living a Happier, Healthier and Better LIfe’ Sweepstakes via Twitter Party. Big Hero 6 on Disney Movies Anywhere, and on Blu-ray™ Feb 24. 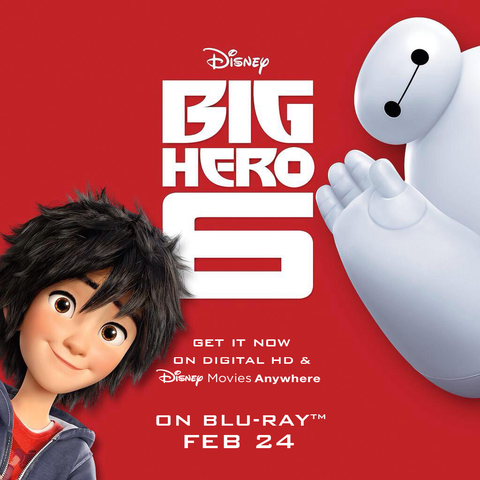 Enter to win a copy of Big Hero 6! The prize was provided by Walt Disney Studios Motion Pictures and I have been paid to blog and promote the film. Walt Disney Studios Motion Pictures is not a sponsor, administrator, or involved in any other way with this giveaway. All opinions expressed in the post are my own.